Required: Make a definitive statement with sufficient factual information to enable the court to conclude that all of the heirs of the decedent are included above and that there are no heirs of similar or higher degree according to O.C.G.A. §53-2-1. Provide the names of any deceased heirs and include the date of death for each. (See instructions for further clarification.). If any heirs listed above are cousins, grandchildren, nephews or nieces of the decedent, please indicate the deceased ancestor through whom they are related to the decedent. If the decedent died testate (with a will), include in the list below any beneficiaries under the decedent's will who are not already listed as heirs. 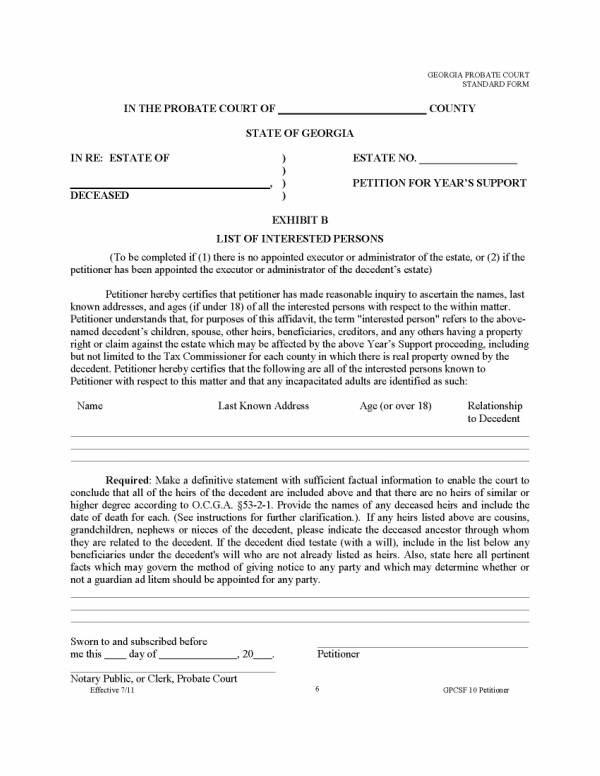 Also, state here all pertinent facts which may govern the method of giving notice to any party and which may determine whether or not a guardian ad litem should be appointed for any party.